In Indonesia alone, UOB and OCBC have 4.9% and 3.7% NPL exposure. 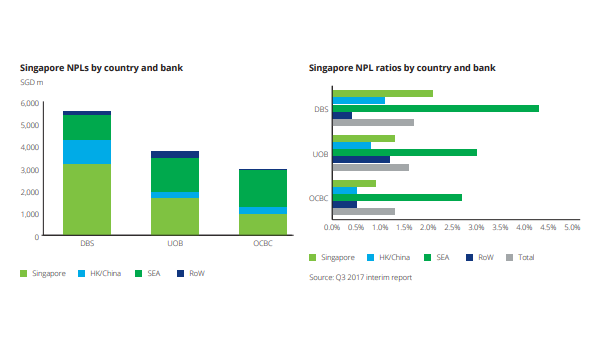 This chart from Deloitte shows that Singapore’s three banks had overall nonperforming loans (NPL) levels in the range of 1.3% to 1.7% as at Q3 2017. Whilst the overall NPL level remains low, there has been a considerable uptick over the last 12 months with an increase in provisions of 20 – 40%. 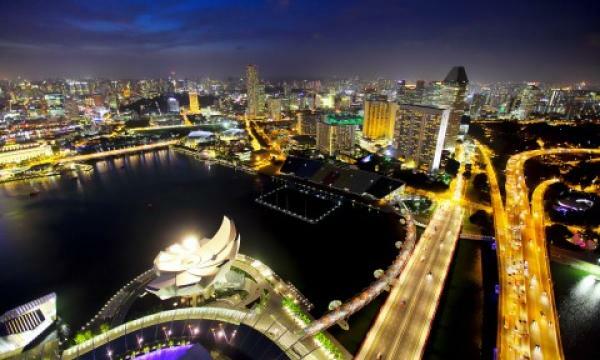 The NPL percentages shown are calculated on a weighted average basis because of the significant exposure to Singapore, a market where NPLs are in the low range of 0.6% (OCBC), 0.9% (DBS) and 1.3% (UOB). Moreover, this is being helped by Singaporean companies’ payment performance. 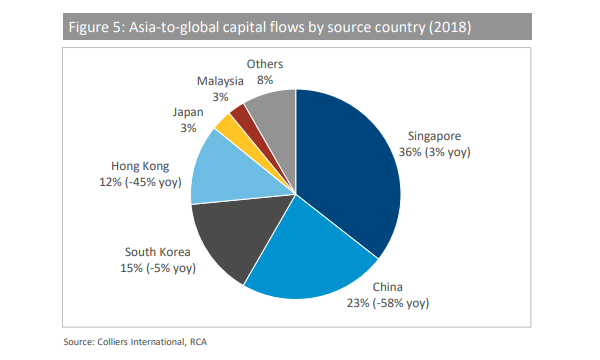 The banks have more significant NPL exposures in other markets – UOB and OCBC have 4.9% and 3.7% in Indonesia respectively, whilst DBS reports 4.1% in South and South East Asia (which includes India). According to Deloitte, DBS has commented that its NPLs rose 12% in the most recent quarter and the rise was partly attributed to oil and gas services exposure. Meanwhile, UOB attributed increases over the last year to energy and shipping exposures, and OCBC attributed increases to energy exposures.